We will be adding more social media resources and other useful materials in the coming months. If you have a specific topic or type of material you would like to see, feel free to let us know via the contact page. You can use these to print out or to share on social media. Don’t forget to tag us @ClairCity ! 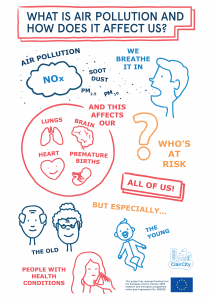 We have designed our project video so that the first half can be used to explain air pollution to new audiences. You can find it on Youtube in two versions. This version has subtitles embedded in the images. This version does not have subtitles in the graphic, but you can switch them on within Youtube and is higher graphic quality. 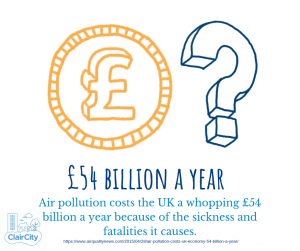 To help share more information about the impacts, severity and solutions for air pollution in our cities, we have put together a set of six graphics for Bristol. 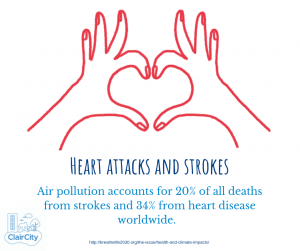 We also recommend checking out National Clean Air Day’s graphics and toolkits for UK information and tips, and the World Health Organisation’s infographics kit for more hard-hitting health facts. 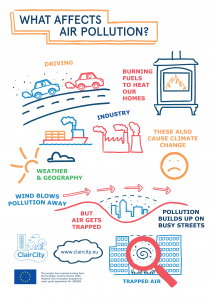 As part of Bristol Walking Festival 2018, the ClairCity team put on our trainers and took a short but informative walk around central Bristol with Air Quality Officer Andrew Edwards from Bristol City Council. 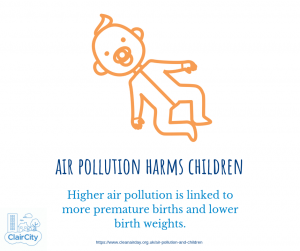 The flyer we produced gives tips on how to avoid and reduce air pollution, responding to some commonly asked questions about whether pedestrians are more vulnerable to air pollution and where Bristol’s air pollution is coming from. We’ve included a colour version for social media, and an A5 black & white version for printing. 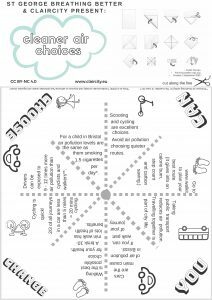 Download our fun transport & air pollution themed “chatterbox” or “fortune teller” to colour in and make at home, at a youth group or in school. We also have science, literacy and further activities for primary schools available see our Schools page. 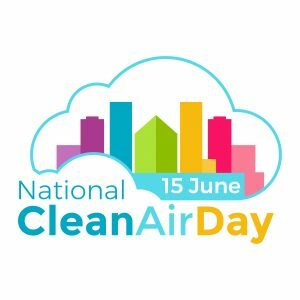 The UK National Clean Air Day network have produced helpful kits for action in communities, businesses and schools. 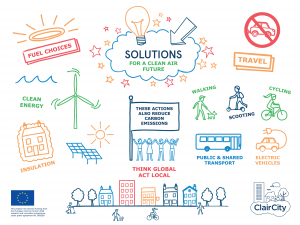 These be used at any time of year and can help you to run a “No Idling” campaign, other actions for your organisation or group, and have suggestions about how to contact local politicians and businesses. Our Bristol team are based at UWE Bristol and Bristol City Council. 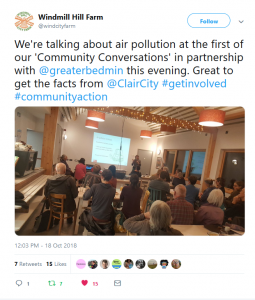 We have given talks and run interactive activities for local community groups who are interested in finding out more about air pollution or are starting their own local action groups on air pollution. So far we have supported conversations and groups in Bishopston, St George, Bedminster and Easton & Lawrence Hill. 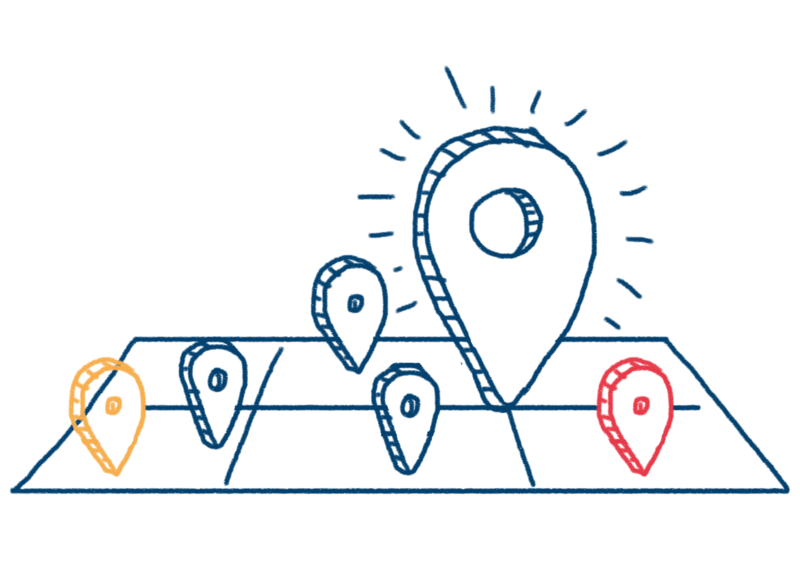 If you are based in these areas and interested in getting involved, please click on your local area to get in touch with your local group, or get in touch with us and we can put you in contact. If you are based in a different area of Bristol or the surrounding area and would like someone to come and speak at a community meeting or event, please contact us via the contact form and we can see if there is anything we could do to help.